UPDATE: Here's a raw feed with the best view so far of the All-Seeing Eye design. 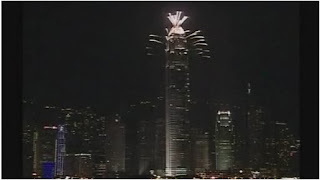 UPDATE: Speaking of money shots, those obelisks aren't there just for show, you know. Full video here. UPDATE II: Greetings to Earth from the trinity of astronauts aboard ISiS! Definitely read the next post on the new pyramid power. We're only at the beginning of this new age, bet the farm on it. 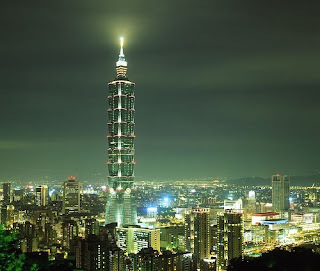 UPDATE III: Check out this report- it seems the Taipei Tower obelisk we looked at the other day had its own money shot for 2009. UPDATE IV: Gee, is there a pattern emerging here? 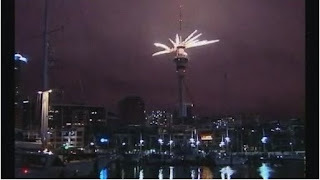 New Year's Eve could prove to be something of a damp squib for some men in the Italian city of Naples. 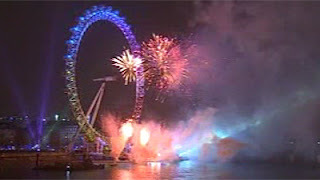 UPDATE V: Well, well, well- London had a massive fireworks display around its giant Ferris Wheel. That came out of left field, huh? SkyNews has a gallery here. BBC video here. UPDATE VI: A commenter points out that Yoko Ono put up her own Heavenly Beacon in Iceland tonight, called the Imagine Peace Tower. 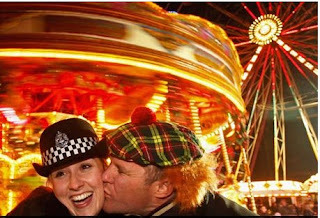 UPDATE V: Aww, look at this sweet pic from Edinburgh. 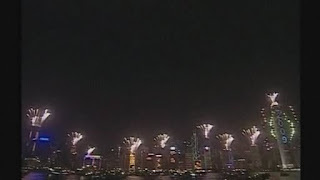 UPDATE VI: More obelisk money shot action in this CNN montage. UPDATE VII: The center of the All-Seeing Eye is a blue and gold star with eight points. Man, the same riffs, over and over and over again. No less a fixture than the tolling bells that ring in the New Year, Sirius is truly the New Year’s Day star. Sirius celebrates its favorite holiday by reaching its highest point in the sky at the stroke of midnight, annually proclaiming the birth of the New Year, year after year. UPDATE IX: Predictably, the Oannes Brothers "rocked" in Times Square before the, uh, ball dropped. 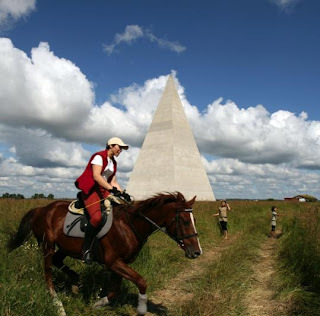 GERMANY: Two intellectuals have launched a project to build a copy of the Egyptian pyramids in the declining eastern city of Dessau as a burial site not for a lone king but for five million people. 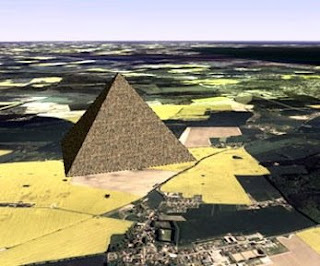 They say it would grow slowly - one concrete memorial slab at a time - but could within a couple of decades dwarf the Great Pyramid of Giza. RUSSIA: You can see it from miles away, looming over the birch forests and wildflower fields and construction sites crammed with future dachas for Russia's rich and ruthless. 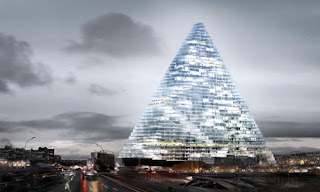 FRANCE: Pyramids have often been attributed with mystical properties, from resurrecting pharaohs to re-sharpening blunt razor blades, but last week those clever architects Herzog and de Meuron unveiled a new piece of pyramid-powered prestidigitation with their new Triangle project in Paris: the building will cast no shadows. It all sounds a bit David Copperfield, but it's not done with mirrors. Instead, the Tate Modern designers have crafted an ingenious computer-aided skinny pyramid design for the 50-storey building – more like a shark's fin - which, thanks to its shape and orientation, will not block out sunlight from its neighbours, they say. The shape will also allow for "optimum solar and wind power generation", apparently. 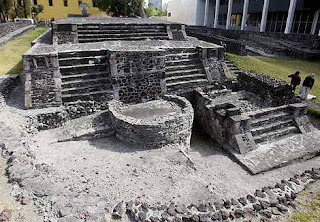 MEXICO: Several stone sculptures recently found in central Mexico point to a previously unknown culture that likely built a mysterious pyramid in the region, archaeologists say. Archaeologists first found the objects about 15 years ago in the valley of Tulancingo, a major canyon that drops off into Mexico's Gulf Coast. 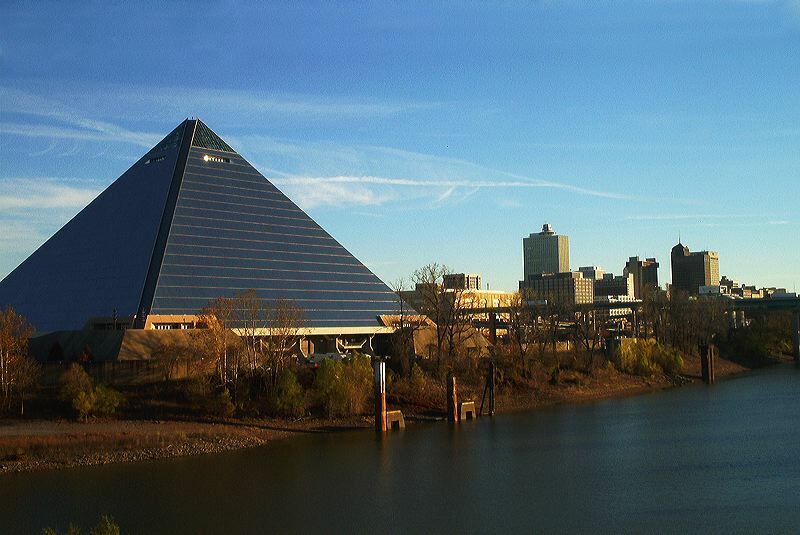 ...The Pyramid was the city’s primary sports and entertainment venue until 2004 when the FedExForum opened. At the time the Pyramid opened, city officials hoped it would become a symbol identifying the city like the Gateway Arch had done for St. Louis. 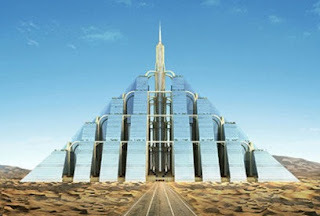 DUBAI: is building another masterpiece structure shaped like a pyramid. The structure called Ziggurat will house nearly one million people and will be self-sustainable with all natural-energy sources. Like the pyramids of the Mayans and Egyptians, this new structure in Dubai is a giant; it will cover 2.3 square kilometers (0.88 square miles) and will be able to sustain a community of up to one million people. DUBAI: Falcon City is aiming to break some records as some of its attractions are set to be bigger than the original landmarks. With a total project value of Dh7.5 million and shaped like a falcon when seen from above, it incorporates not only residential units, hotels and a theme park, but there will also be imitations of world-famous landmarks. These include the Eiffel Tower, Pyramids of Giza, Hanging Gardens of Babylon, Venice, leaning tower of Pisa and the Taj Mahal. The Eiffel Tower is set to be 20 metres taller than the original in Paris. 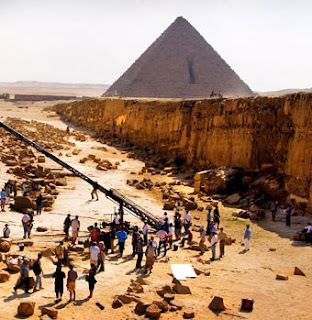 The largest pyramid will be approximately 40 storeys and 150 metres high, slightly taller than Khufu's, the largest of the three pyramids in Egypt. A year ago, any mention of any kind of extraterrestrial activity here -Sirius, UFOs, AAT- would be purely in the context of pop culture. I had no idea so many of these symbols would begin to bleed (allegedly) into the political sphere. Which, of course, is merely theater of a different kind. 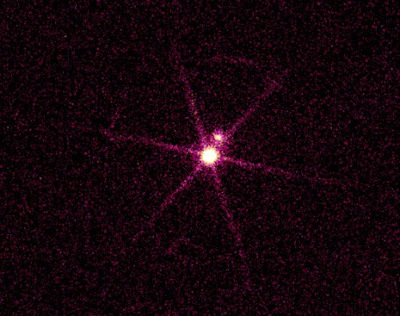 There's a whole corpus of material looking at the Sirius phenomenon out there, going back many, many years. I first became aware of it all when indie publisher Sirius Entertainment contracted me for my first comic book series (which I previously wrote about here). The publisher dabbled in pop occulture, and was a fan of The Sirius Mystery by Robert Temple. And of course, Richard Hoagland has done a lot of interesting work on the Sirius Enigma as well, which I was reading in the 90s. Two years ago, Raiders News Update editor Tom Horn went on PID Radio with Derek and Sharon Gilbert to ask the question, "Is there a Sirius Cult in the Government?" You can listen to this two-part interview here and here. Just be aware that the information is given a heavy Christian Evangelical spin, which may not be to everyone's taste. But Tom Horn really does his homework, and offers up some interesting data. As always, look for questions, not answers. So, are we looking at Astrotheology or Astronaut Theology? A few years back I was solely focused on the former, and mainly interested in ancient mystery cults and their symbology. 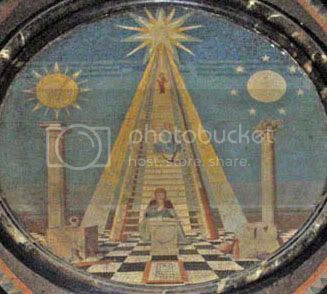 The major turning point in all of this may have been the absolutely mind-boggling imagery on the Masonic First Degree Tracing Board. My research into Masonic history was initially predicated on plain old sun worship, and eventually brought me back to the priests of Helipolis, the Shemsu Hor. Not only were they the royal astronomers, but they were also the architects, responsible for designing all of the massive stonework temples. Which is another way of saying they were Egypt's Masons. And they did it in dedication to the last god-king of Egypt, Horus, who followed his father Osiris (who died on 3/17 and was later raised) back to the Orion constellation. Not a small matter for those folks. 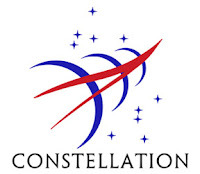 Given this lineage, I guess we shouldn't be surprised to learn that the next manned mission to the Moon will be called the Orion 17, part of Project Constellation, whose mission patch encodes that magic 3/17. There's some Astronaut Theology for you. Finally, lest any of think that AAT started with Von Daniken or Sitchin, you might want to take a gander at Charles Fort's Book of the Damned. This seminal UFO study was written in 1918 and online in its entirety on Sacred Texts. The record is clear- UFOology and AAT are old as mankind. What it all means, I'm still unsure. But it's a fascinating mythos at the very least, one that seems to be re-emerging despite the best efforts of the gatekeepers in the media (and that's both mainstream and alternative, mind you) to laugh it all away. 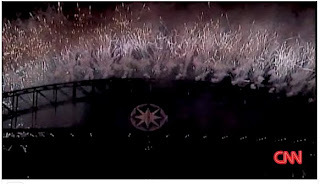 I have no doubt Dogstar symbolism will pop up in the Memestream on a regular basis in the weeks and months ahead. I'm working up a megapost on Obama's deep connections to all of this weirdness that I hope to have up in time for the in-augur-ation. "Tell the king; the fair wrought house has fallen. A conjoined twin who had survived 11 hours of surgery to separate her from sister died on Christmas Day, it was announced yesterday. 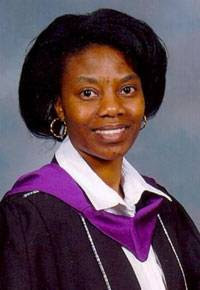 Faith Williams died "from the complexities of her condition" 23 days after her sister, Hope, died in an operation to separate the pair of infants. Doctors at Great Ormond Street hospital had given Faith a 50% chance of survival. The man who, dressed as Santa Claus, killed nine people at a Christmas Eve party planned to flee to Canada the next day, but California police believe he decided to kill himself instead because of severe burn injuries. Pardo rigged his rental car so that if someone tried to remove the Santa suit, the car would explode. Police believe Pardo's injuries came after he set fire to the home using a homemade flamethrower. Raney also said Pardo came to his former in-laws' home with $17,000 strapped to his legs and inside a girdle, indicating he may have wanted quick access to his money as he fled the country. As if not enough that the killer was dressed as Santa, he was also a usher at his church. Pardo, several neighbors said, was a quiet, unassuming man who enjoyed tending his garden and regularly ushered at the evening Sunday Mass at Holy Redeemer. Ben Fairhall digs deeper into this nightmare on the Daily Behemoth. I have a feeling that we're at the beginning of a sickening new wave of atrocities, as the old certainties of bourgeois life melt away. The old world that many people spent their lives taking for granted now seems very cold and gray and unforgiving. But there are signs of hope in the gloom, are there not? How about the "Christmas Miracle" of the woman who was discovered alive by a rescue dog after being buried for three days under three feet of snow? Ace the Wonder Dog, who found Molnar. Annie Molnar said her daughter-in-law had been suffering from depression and having a difficult time adjusting to a new medication. She'd also come down with a terrible cold. Her husband was keeping a close eye on her, Ms. Molnar said, but on Friday afternoon he left her sitting alone on a couch in the family room while he went into the basement for a few minutes. Molnar suffered a severe case of frostbite during her ordeal and is hospitalized in serious condition. The doctors were unwilling to tell the media whether or not her badly frostbitten limbs will have to be amputated. I'm sure no one will follow up; amputation doesn't fit the "miracle" narrative. Neither do the conflicting stories on what a sick woman who needed close supervision for severe depression was doing going alone to the grocery store in a driving blizzard, or how she ended up on a deserted country road in a field several hundred feet away from her car. Two things caught my eye about this story. The first is the woman's name, Donna Molnar, which -believe it or not- roughly translates into "Our Lady of the Grain," the title of Demeter in the Eleusinian Mysteries. Scholars today believe that the myth of Demeter and her daughter Persephone, who is abducted by Hades and forced to spent 6 months of every year as his queen, comes from Neolithic times, and was meant to mythologize the months of the winter when the Earth lay barren, in northern climes at least. 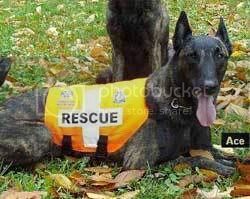 The strange links to that myth and the story of dogs finding a woman beneath the Canadian snow tie back to The X-Files. In this case through the unjustly-maligned (and grossly-misunderstood) I Want to Believe, that we looked at in relation to the emerging Sirius symbology recently. 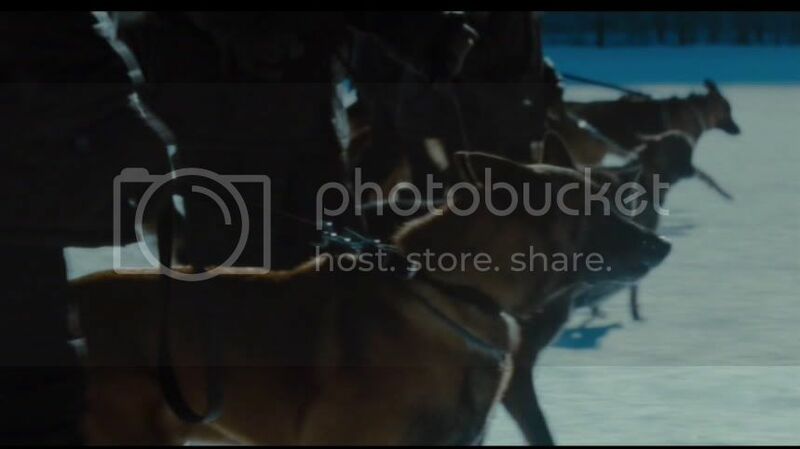 Filmed in icy Pemberton, BC, dogs are a central conceit in the film, as are women being buried in the ice (as well as dismembered limbs). But so is the death of certainty, and a cold, gray reality filling the void as servants of the public trust betray us all. I Want to Believe is not interested in pandering. It presents a world of thoughtless law enforcement officers and heartless medical bureaucrats, all perfectly content to let people die if it makes their job easier, as well as doctors performing the worst atrocities on random victims simply out of scientific curiosity. And all of this horror is presented in a very matter-of-fact manner, as being simply a part of our everyday reality. Not the stuff of summer escapism. But for me it sits quite well next to a whole host of other films that were poorly-received upon release like Blade Runner, Jacob's Ladder, Dark City, Dagon, and Solaris. These are among my very favorite films for the deep and profound truths they tell, and all of them seemed to need a few years to find an audience. 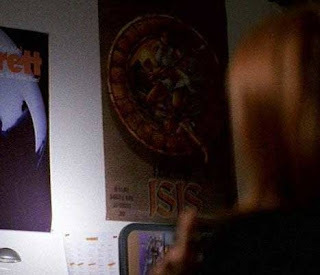 Scully, who plays the role of Demeter in I Want to Believe (with a dying boy named Christian in Persephone's place, reminding us of the parallels between the Eleusinian mysteries and the later Christian stories) played the same role in one of my favorite all-time X-Files two-parter's, "Christmas Carol/Emily". In this gut-punching MythArc story (inexplicably left off the MythArc boxsets, as were some other key eps) Scully discovers that her ova had been taken during her abduction and an alien-human hybrid named Emily was created and given to an adoptive family. When the two parents are murdered, Emily is taken off a course of treatment given by a shady pharmceutical company under the care of a Dr. Calderon, who is actually a shape-shifting alien himself. This ultimately results in Emily's slow and horrible death while Scully is forced to watch impotently. The semiotic parallel here is through Dr. Calderon, whose name means ’cauldron.’ In myth, Hades controlled the ‘Cauldron of Abundance,’ also known as the ‘Cauldron of Rebirth.’ The alien potions that keep Emily alive are a symbolic rendering of this cauldron. As with Persephone and Demeter, Emily is taken from Scully and in her place is only a pile of ash, symbolizing the land made barren by Demeter’s curse. Interestingly, the gold crucifix that Scully had given Emily lies unhelpfully amongst the ashes. As I like to say, we're now living in an X-Files world, and because it inconveniently reminded us of that fact, the second film may have suffered. But as this latest sync with the Christmas "miracle" shows, the absolutely unparalelled Synchromystic power of the Ten Thirteen universe is still alive and kicking. Which gives me hope, for reasons I can't quite explain. UPDATE: Ean Begg fans will particularly appreciate this one- a black woman named Magdaline discovered locked in the trunk of her Vauxhall Astra, after a 10-day ordeal in Scotland. LONDON – A woman found bound in the trunk of her own car may have been there for well over a week, police in Scotland said Saturday. Officers found Magdeline Makola, dehydrated and suffering from hypothermia, on Friday. Police said the 38-year-old nurse had been restrained so she couldn't escape and was wearing pajamas when two officers discovered her in the Vauxhall Astra in Airdrie, east of Glasgow. The officers had heard cries coming from the car and then broke into the vehicle to access the trunk and free her. 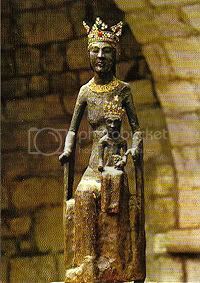 Many modern mystics have also identified the Black Madonna with Mary Magdalene and the mythos of the Grail Bloodline. They should be excited by this story as well, if they happen to be looking for signs and wonders. ...which brings me back to aliens and ancient astronauts and the Apocalypse. I have a one-track mind, I guess. UPDATE II: Here's a sign of the Apocalypse, if ever I saw one. A sign of something, at least. 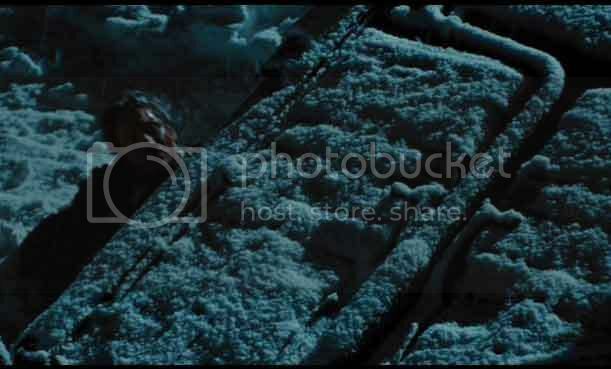 UPDATE III: Another eerie parallel to I Want to Believe- an avalanche buries 7 snowmobilers alive in British Columbia. 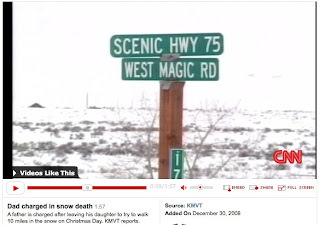 UPDATE IV: Another tragic Christmas death in the snow, this time in Idaho. Click here for CNN report. Note "Magic" and "17" in screenshot. I truly hope there's something to be learned from all of this horror. UPDATE V: Ben Singleton posted the new Beyonce video, which begins with mannequin limbs in the trunk of a car. Strong semiotic currents flowing back and forth here, with I Want to Believe as a nexus point. Unbelievable. Rockefeller Plaza, seen from space. 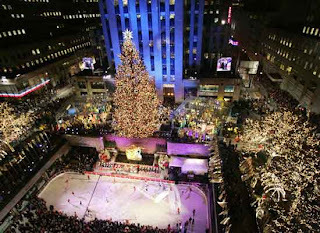 Note alignment of tree and 30 Rock obelisk. 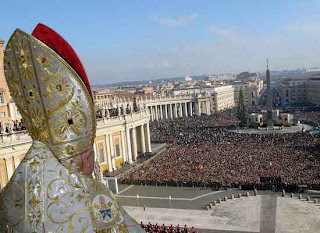 The Vatican, facing the obelisk in St. Peter's Square. 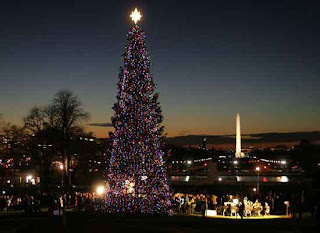 Here the tree on the mall faces the Washington Monument obelisk. 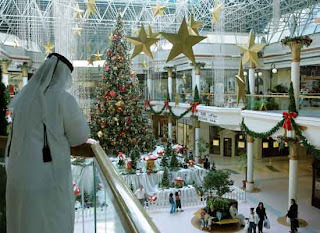 And, of course, a mall in Dubai decked out with five-pointed stars. Here's hoping you and yours have had a wonderful holiday, no matter how you celebrate it. 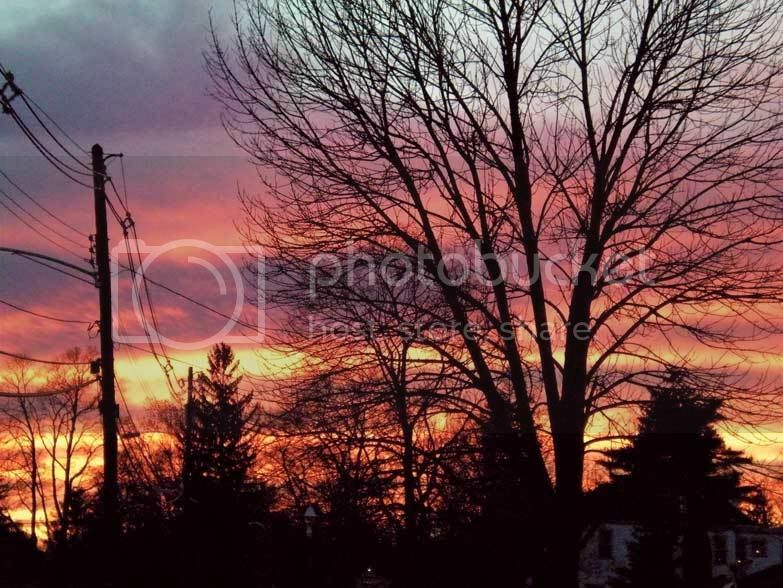 What we should all keep in mind is that the holiday is a celebration of new life in the midst of death, of the Sun returning to strength and promising new life in the spring. This is universal, and based in an appreciation of the cycles of life and nature, no matter how you choose to relate to them. It's a very powerful and very primal moment for everyone on the planet, and needn't be politicized with religious dogma, or commercialized to the point of tedium. 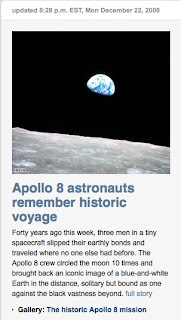 Ahhh, so now we know why the Apollo 8 story got such play on CNN this week. "...On Christmas Eve 1968, none of the astronauts on board Apollo 8 were ready for the opportunity to witness their own Earthrise. Apparently, Apollo 8 is considered the most significant of the entire program. There was also a Christmas Eve broadcast where the astronauts read the first 10 verses of Genesis. What's even more interesting is that the Apollo 8 landing module splashed down near Hawaii on re-entry, and is now kept in the Chicago Museum of Science and Industry. Forty years later, our President-elect- who rose to prominence in Chicago- is vacationing in Hawaii. UPDATE: Actually, in the days behind as well. 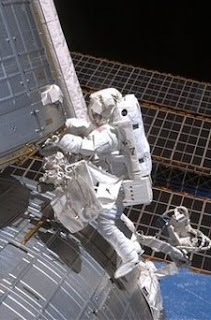 I don't know how I missed this one, but there was a 6 hour US/Russia spacewalk on the International Space Station (ISiS), the day after the Winter Solstice, as -get this- astronauts and cosmonauts worked to lubricate the Solar Alpha Rotary Joint. Now, this absolutely was not some kind of Masonic ritual based on the Delta Cycle meant to replay the copulation of Isis and Osiris via artificial means to conceive the sun god Horus, who was then born on December 25th. 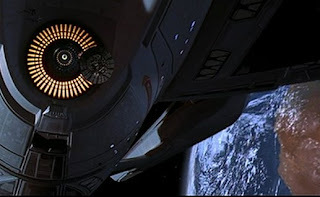 And it probably had no connection to a similar ritual-like event in Star Trek: First Contact where Picard, Worf and "Lt. Hawk" try to prevent the Borg from appropriating a solar disk so that the cruise missile-turned-spaceship Phoenix can achieve Earth's first warp-drive flight, resulting in Horus Lt. Hawk's assimilation and subsequent "fall" to Earth. What a fantastically entertaining year this has been. UPDATE II: Oh dear. Did you know that every Christmas Eve floor traders at the New York Stock Exchange stop and sing "Wait Till the Sun Shines, Nellie?" Interesting enough as it is, but the song's composer, Harry Von Tilzer, died on that magic day for the space program and global governance, January 10, 1946. One of the tombs, about a yard wide and 2.75 yards long, has a description above the entrance about the man, Yaamat, for whom it was built. The second tomb is twice the size and includes inscriptions and an image of a seated woman (the name Isis means "throne" -CK). 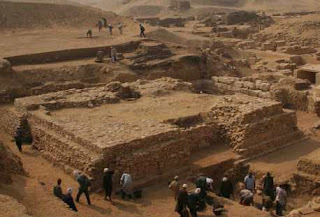 Hmm, two tombs of unequal size, found near the Step Pyramid of Djoser. A new "discovery" or one kept under wraps and released today to fit into the spreading Sirius memes we are (allegedly) seeing? Hawass also said that a bust of Pharoah Amenhotep III that has been outside the country for about 15 years was returned to the Egypt on Sunday after a lengthy legal battle with an antiquities dealer in Britain. Amenhotep was the father of Akhenaten, who attempted to make Egypt worship a single god, the sun, making him one of the first known proponents of monotheism. For deep background on the NASA/Egypt connection, check out this installment of the Astronaut Theology series. And the check out these ancient artifacts, that many believe are depictions of astronauts. Still don't know what to ask Santa Odin to put under your Saturnalia evergreen? Check out this semiotic mashup with these great old ads for Planet of the Apes action figures, which were manufactured by the now-defunct Mego Toys. This YouTuber strings all the old 70s ads together, which all have fascinating little subplots: time travel, mind control, the military-industrial-religious establishment, forbidden archaeology, class warfare, solar ziggurats, and on and on. Strangely, they also feature the main theme from 1968's other ape-starring blockbuster, 2001: A Space Odyssey, "Thus Spake Zarathustra" by Richard Strauss. Which in turn was based on Friedrich Nietzsche's rant on the death of God and the rise of the Overman. And Zarathustra brings us to Mitra, who brings us to Mithras, who brings us to the Freemasons, who bring us back to the astronauts. Nice and tidy, just the way I like it. UPDATE: Speaking of astronauts, here are the Mego Star Trek ads, which have the strangest background music I think I've ever heard in a commercial. It actually kind of reminds me of Jimmy Page's soundtrack for Lucifer Rising. This is all from my era, but I'm not even remotely nostalgic for this stuff. I remember when my boys were young feeling incredibly jealous that they had such great toys to play with and we had frickin' Mego. It can't be said enough, America hated its children in the 70s. My proof? Oh, how about a Six Million Dollar Man Christmas record, which doesn't have Lee Majors doing the voice? What kind of miserable old clock-watcher thought this was entertainment? Did you know that 2009 is the International Year of Astronomy? Timely, eh? Looks like there's a new push for science education as the Bush Era begins to fade. Or something. The International Year of Astronomy (IYA2009) will be a global celebration of astronomy and its contributions to society and culture, highlighted by the 400th anniversary of the first use of an astronomical telescope by Galileo Galilei. The Irish Node of IYA2009 and the Office of Public Works in Ireland are inviting you to join in watching a live webcast of the winter solstice sunrise on December 21st from the neolithic passage tomb of Newgrange, in County Meath, Ireland. Built at least 5,200 years ago---1,000 years before Stonehenge---Newgrange and its mysterious neighbors, the megalithic passage tombs of Knowth and Dowth, were built by a lost, technologically advanced civilization. Working before the invention of the wheel, 300 workers took 20 years to shift 200,000 tons of stone from as far as 50 miles away to build it. Nobody is quite sure why. Now I don't know about you, but nothing says "science" to me quite like "ancient Celtic sun worship." ...if I didn't know better I'd almost think that was meant to symbolize the Sirius binary star system, one large star and one small. But hey, what are the odds of that, right? Surprise of surprises, we also see a similar binary star looming over the DNC '08 logo as well, and some other stars obviously in the distance. Wonder if that has anything to do with some of the (alleged) Sirius symbolism we've been (allegedly) looking at lately, vis a vis the election. UPDATE: Here's an interesting twist on this story. Must-watch clip from "Ancient History"
Check out Droidy's blog- he's been all over the Justice League Unlimited lately. He picks out some tasty tidbits that might interest weirdness buffs, and then looks at the Jack Kirby Stargate we looked at a while back. It's really fascinating to see all of this Kirby wackitude from my childhood warping the brains of today's youth. Ol' Jack must be smiling. Now where's that damn Kamandi cartoon, Mr. Timm? Here's an archive of my JLU ravings ("best...cartoon...ever!"). If you need gift suggestions, both seasons of JLU are on DVD. Not only very entertaining, but jam-packed with weirdness and symbolism. Speaking of Natii Sol Invicti, I'm pushing forward the John the Baptist e-book until March 17. I've recently gotten my sweaty mitts on some new information that I need to process, so you can read all about Saint Oannes the Amphibious while drinking your green beer. Phew, what a week. Still so much going on, still so many megaposts in the pipeline. Stay tuned, there is so much more to come. Nasa's Mars Reconnaissance Orbiter has finally spotted rocks on the Red Planet that bear carbonate minerals. The ingredients needed to make the rocks are very evident, so their absence had been a major puzzle. The rocks' identification now shows these harsh waters have not dominated all parts of Mars - and that is good news for the search for life. The results were presented Thursday at an American Geophysical Union meeting in San Francisco and will appear Friday in the journal Science. So this was announced on Thursday the 18th, which is the 388th anniversary of the landing of the Mayflower at Plymouth, in which the rugged shores of Massachusetts were made safe for European corporate power. And how were the sacrifices of those brave and dedicated Christian pilgrims commemorated? Why, with an obelisk, of course! Bonus factoid: Nova Caesarea achieved statehood on December 18th. UPDATE: Correction- two obelisks! One in England and one in Provincetown, Mass. The Pilgrim Monument was, um, erected by the Freemasons and the cornerstone was, um, laid by none other than Teddy Roosevelt. “In the name of the Most Worshipful Grand Lodge in the Commonwealth of Massachusetts I now proclaim that the corner stone of the structure to be here erected has this day been found square, level, and plumb, true and trusty, and laid according to the old customs by the Grand Master of Masons,” with these words on August 20, 1907 Grand Marshal Melvin M. Johnson declared the formal ceremony to lay the cornerstone for the Pilgrim Monument was complete. The carefully planned ceremony had begun early in the morning of August 20, 1907 when the presidential yacht Mayflower, with President Theodore Roosevelt aboard, sailed into Provincetown Harbor around 10 o’clock. As it rounded Long Point and entered the harbor, it passed down a passage created by eight battleships composed of two squadrons. The president received a twenty-one-gun salute from each battleship as he passed. Eight battleships and the Presidential yacht showing up for an explicitly Masonic ritual? Pretty impressive, even by today's standards. Why exactly this was done in the Dog Days of August when the Mayflower landed in Provincetown in November 1620 is a mystery to me. And guess what else happened on August 2o? Well, in 1975 the Viking Mars Probe was launched. And in 1977 the Voyager was sent on its way to Saturn and the outer planets. The Viking was the probe that first photographed the plains of Cydonia, and the Voyager went on to star in the first Star Trek movie. Voyager would later lend its name to Star Trek: Voyager, which featured the voluptuous Jeri Ryan, whose 1999 divorce complaint would help put Barack Obama in the US Senate. Is anyone sensing a pattern here? Now, any reason why August 20 should be so significant? Well, in the Ancient Egyptian Festival Calendar, it was the day the 3rd day of the month sacred to Ptah, god of craftsmen (who later became the "Oscar" statuette). It was also the day the Eye of Horus was healed by Thoth, so a fairly significant day in the Egyptian ritual calendar. 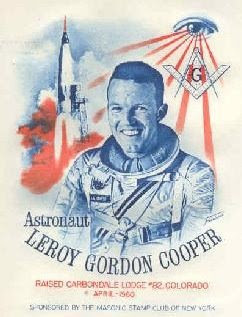 So I guess we shouldn't be too surprised it's also significant to the Freemasons and to NASA. UPDATE II: For more on the Mars/Egypt/NASA connection, click here. PS - Maybe NASA can rename the Nili Fossae the "Fossett Fossae" in honor of the late daredevil aviator Steve Fossett, who was also a member of the (Masonic) Order of the Arrow while he was in the (Masonic) Eagle Scouts. Fosett was also a brother in the powerful Sigma Alpha Epsilon fraternity. SAE's pledge manual is called The Phoenix. "Rollover to See the Power of the Sun"
No, that's not a line from the Contendings of Horus and Set. Or even from the 11th Degree ritual. 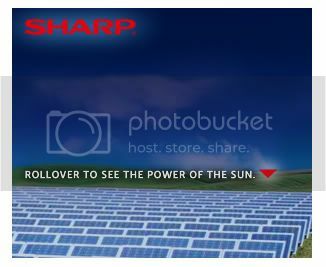 It's a tagline for a new online ad campaign for Sharp Electronics. But in this walking fever dream we are all sharing, its invocation of the solar energies seems to point to a distant sun, one whose influence we can't seem to escape as the Symbolsphere continues its assault on consensus reality. 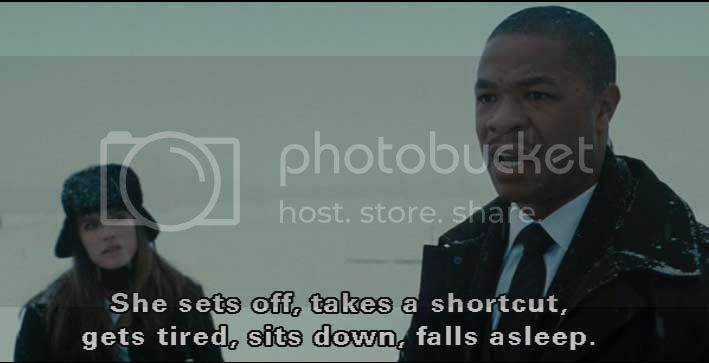 Intentionally or not, the language is loaded with double-entendre; "rollover" could refer to a mouse-click, or it could refer to a physical surrender to the sun. But which? The copywriting here is very strange, florid even. Why not simply say, "click here, idiot?" 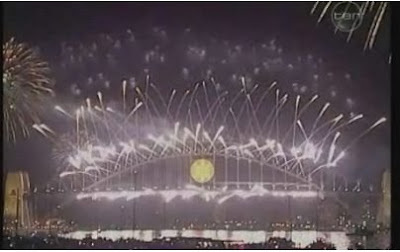 Now, I can't look at a Ferris Wheel anymore without thinking of the point-with-circle Masonic icon. 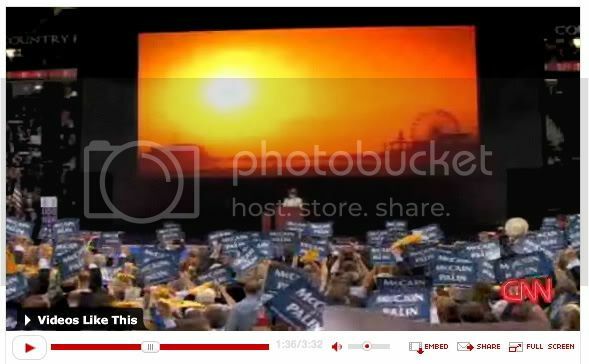 I realized the other day that Saraswati Palin was speaking in front of a sunset when we saw a Ferris Wheel behind her at the RNC. Very interesting, in contrast to Obama's point-in-circle sunrise. There's also the Millennium Eye in London to consider as well. 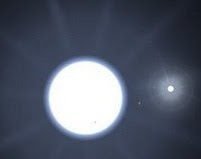 The Dog Star, Sirius is also known as our Spiritual Sun, esoterically the heart of our physical Sun. During the Dog Days when Sirius disappears into the Sun's glowing light, it could be said that our physical Sun is embracing our Spiritual Sun! After such a celestial union a rebirth or resurrection can be expected. If you watch the animation you will see the strange motion of the sphere forms working in tandem, which you wouldn't see as a flare travels across the surface of a lens. Looking at it, one might see a large star, accompanied by a dwarf with two satellites. I don't believe we've seen satellites around Sirius, but we do see that alignment of the giant and the dwarf. Do the Sharp people know something that we don't? The more I see this Sirian symbolism running rampant , the more I keep going back to the "Why?" conundrum. Why go to all of this trouble? Yes, Astrotheology is very interesting and wonderful and was the backbone of primitive cultures dependent of the heavenly bodies to keep time. Yes, yes, wonderful. Nobody cares. The powerful only care about the perpetuation of their power. On the other hand, there's a whole corpus of esoteric lore from the Masons to the Theosophists to the Solar Temple that puts a special emphasis on Sirius as being a place of power, a place from where celestial beings descend to our happy little world from and give their chums a helping hand. There's your "Why" if ever there was one. Now, where's my pillow? All of this Synchromysticism is wiping me out. Note: I first saw the ad following yet another link from Goro's news ticker, this time a story about water on Mars. * That inverted red triangle didn't escape my attention. Commenters can fill us in on it's meaning. My brain hurts right now.